Our first encounter with this bird was in 2009 during our first trip to Mt. Kitanglad, Bukidnon. Tonji didn't want to hike further up into the mountain to look for this "Mindanao montane endemic". I went up with Carlito the guide, Yue Yun, Temay, and Debbie. The woods seemed unusually quiet on our way up. After a while, we decided to head back down since it was a 12 o clock and the birds seemed to be resting or hiding. We were making our way down when Carlito called us back up! He saw the Apo Sunbird! We quickly rushed back up to him. I lost my balance and broke my walking stick in the process. I thought Carlito would get a heart attack when I couldn't immediately see the bird that was just flying around a nearby tree! We were quite lucky that day! The rest of the group thought we would be up in the mountain for hours! They sent the porters up to us with our lunch. But, we came across the porters as we were already making our way down, so we had them bring the lunch back down. During our second trip to Mt. Kitanglad in October 2010 with our son Franco and Nicky Icarangal, we were both able to see and photograph this bird! 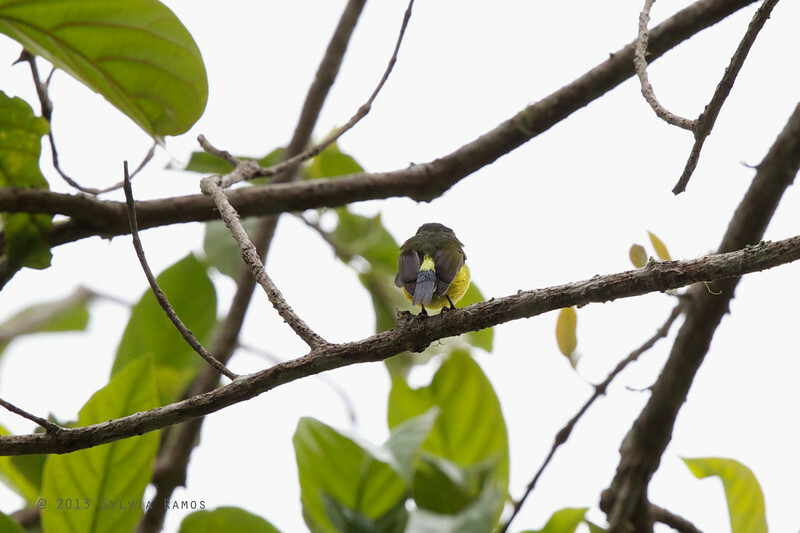 We hiked for four hours, straight to the Apo Sunbird site so that we could get there mid-morning. Good thing we had Danny and Carl to help us carry our gear.